We use our mobile devices a great deal, but we’re not always around a power outlet to keep them charged and running. Fortunately, the Zendure A8 Portable Battery Bank is here to make sure your devices get the energy they need no matter where you are. One of the fastest-charging power banks on the market, the Zendure Portable Battery Bank can be yours for $64.95. Boasting Quick Charge 3.0 ports, the Zendure Battery Bank puts out an immense 18W of power when connected to compatible devices, charging them at rapid speeds. Packing a massive 26,800mAh battery lets you charge your phone 7-9 times over, and it can hold up to 95 percent of its charge even after months without use. 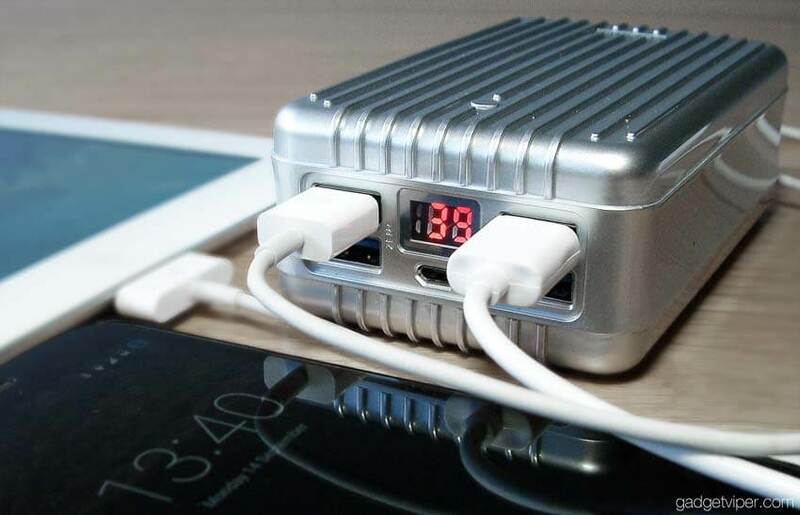 The Zendure Portable Battery Bank also features a charge-through function, allowing it to power up other devices while its battery is being charged. And it switches to standby mode when charging is complete, preserving power for your future charging needs. Currently on offer at 48% off, you can get the Zendure Portable Battery Bank for $64.95, considerably less than its $126.95 suggested retail price.